The Kastha Mandap is another distinguishing structure of the complex, being built with a single piece of wood. The Trailokya Mohan Narayan Temple is not only the oldest shrine here but is also important for the wood engraved Vishnu images, portraying the different incarnations of the Lord. The 17th century Maju Dega temple also exhibits different statues of Hindu goddesses, adorning the wooden pillars, windows and struts of the shrine. Built on a layer of 9 bricks, this temple also offers a spectacular view of the complete square. 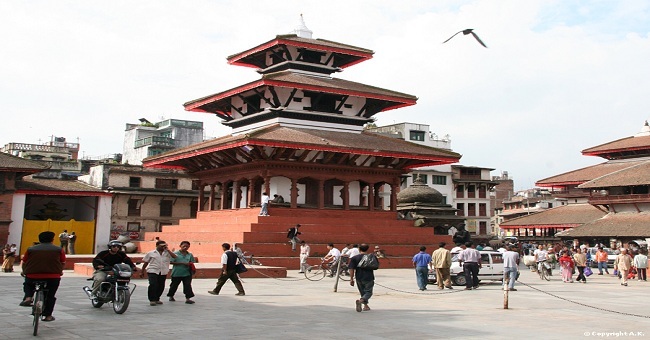 The Hanuman Dhoka is another important centre of Nepal art and culture. The Taleju Bhawani is the highest building of the site, with a height of 36.6 metres. 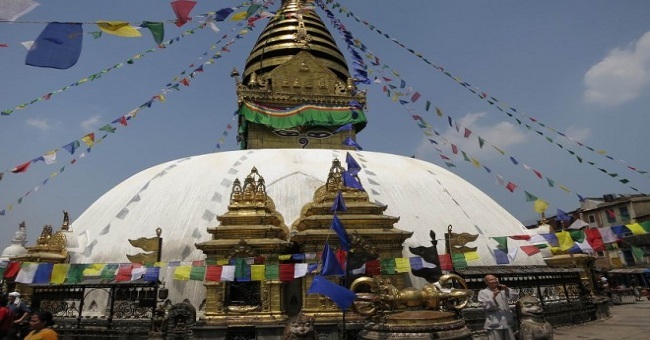 Visit this temple to get a glimpse of the religious life and rituals of Nepal. The stone images of men and beast, the miniature temples surrounding the main temple and the double roof, all reflect remarkable craftsmanship of Nepalese artisans. Do not forget to be at the top of the 50.2 metres Bhimsen Tower to get an awestrucking view of the Khatmandu Valley; as you reach the top, the stress of climbing 113 steps vanishes. Gain some knowledge about the royalty of Nepal at the Tribhuwan Museum. With a wide collection of accessories, weapons, furniture, hunting photographs and coins, it is no less than a treasure house. Nestled at the laps of the Great Himalayas, Nepal has a soothing atmosphere. 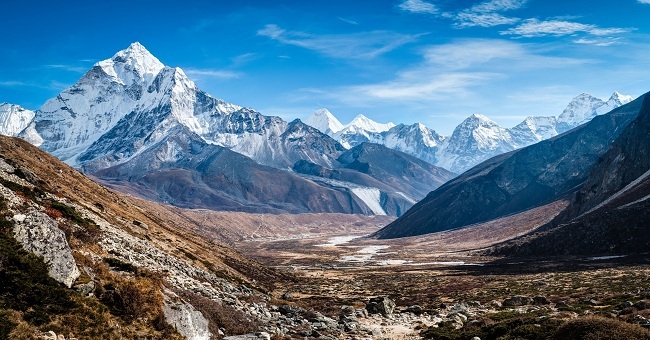 The landlocked Nepal is best viewed by trekking. While it is a dream of every trekker to witness the first rays of the sun over the blanket of snow of Mt Everest, sipping steaming hot butter tea, the Annapurna Trek offers breathtaking view of the snow capped mountains and crystalline lake rivers. Pokhara, the start point of Annapurna Trek welcomes you with fragrance of bright flowers and tweets of colourful birds. 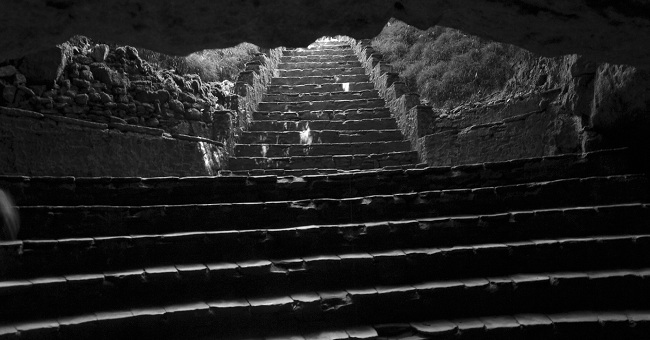 While the fish tail mountain glitters under the sun, the Mahendra Cave beckons the adventurous. The thick forests of Nepal are the natural habitat of various kinds of flora and fauna. Go on an elephant safari at the popular Chitwan National Park or at the quiet Bardia National Park to meet the ferocious Royal Bengal Tiger. 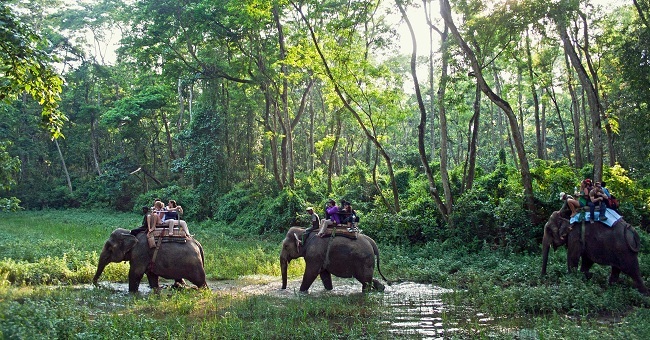 If you love thrill, you may also opt for rafting and jungle walks within the woods. The spotted leopard, the moody one horned rhinos, the cool elephants, the naughty monkeys, the grazing deer and the sly crocodiles are the major attractions of these forests. Lumbini, the birthplace of Lord Buddha is the famous pilgrimage of Nepal. While the pillar at Lumbini exhibits precious carvings, Patan with its numerous stupas is the centre of Buddhism at Nepal. While the Mahabuddha temple has a Buddha image engraved on its every brick, the Swayambhunath temple depicts the ‘self created’ image of the Lord. 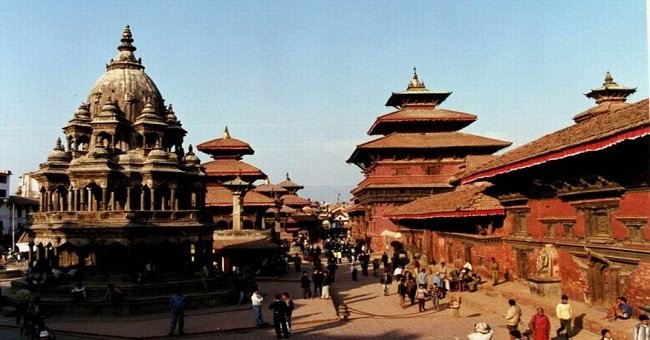 Be it the comfortable yak wool sweaters or the embroidered Pashmina Shawls, be it the singing bowls or the heavy metallic jewelleries, Nepal is hence a place to collect souvenirs. Hence if you are love with mountains, be at Nepal.